The uncertainty and unease that surrounds today's music business is hardly news. Decades of mismanagement and greed have exposed rotten timbers, deep down near the keel of an industry that seems to be mired in the doldrums. The number of major labels has shrunk, as they continue to foist cookie-cutter artists with high promotion budgets and low standards on the beleaguered public, while blaming illegal downloading for their declining sales. After spending years trying sell music like toaster ovens or Big Mouth Billy Basses, it seems like something's gotta give. The first victims of this trend are America's independent record store owners, who are closing up shop in record numbers. Squeezed by file-sharing, undercut by Best Buy's slashed prices, and subject to hostile landlords and evaporating customer base, the nation's Quixotic champions of community and rarity are experiencing a period of unprecedented ruin. Enter Brendan Toller, and his invigorating documentary I Need That Record! 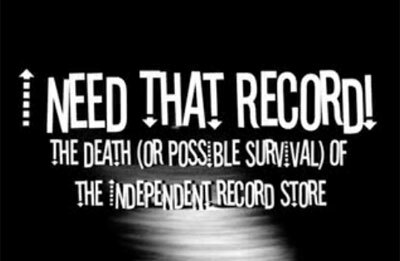 : The Death (or possible survival) ofÂ the Independent Record Store. 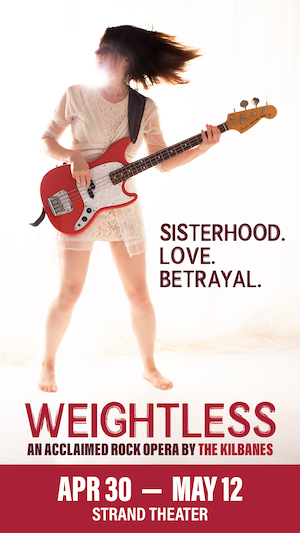 Begun as his student film at Hampshire college, Toller's film is a tour-de-force, instructing without being didactic, plucking the heart strings without being maudlin, and presenting the burgeoning crisis in music retail as a palatable, human story. Through touching interviews with crestfallen store owners, and meetings with a host of big name musicians and luminaries (Thurston Moore, Ian MacKaye, Mike Watt, Noam Chomsky), Toller paints an impressive portrait of an industry that has been in a death spiral since the first radio payola scandal. Using statistics and the testimony of his subjects to great effect, the filmmaker delivers a thoroughly comprehensible picture of the current problems, while preserving the human center of the film, which focuses on the shuttered record shops. There's a lot of information to be digested, some familiar, some not, and Toller does an admirable job of not getting bogged down in the details. Clever collage animation sequences by collaborator Matt Newman add a fun visual punch, sometimes to advance the narrative and sometimes to illustrate a particularly important point. It would be hard to walk out of the movie without feeling that you have learned something, and, more importantly, that you might want to do something to help. Toller and his interviewees lionize the community aspect of these independent stores, and rightly so. Store owners seem to glow when they talk about the thrill they get helping customers find the perfect record, or when they greet the repeat customers who come in day after day, year after year. At times, it appears that the fierce loyalty the stores cultivate among their fans--and their status as the ideal music-talk scuttlebutt--serves as their only hope for survival. The film is yet to find a distributor, and Toller is travelling around the country himself, screening it at festivals in the hopes of garnering wider exposure.Â It really cannot be recommended highly enough. If it doesn't screen in San Francisco again soon, keep your eyes peeled for its DVD release this Fall. Independent record stores are undeniably in deep, deep, trouble, but at least they have a documentary this good in their corner.